If we are on a tight budget we know how important it is to have little surprises with our monthly expenses. Is it easier to pay $450 every six month or $75 per month for our car insurance? For many of us it is better to spread out our payments so we can handle our car insurance payments on a consistent basis. 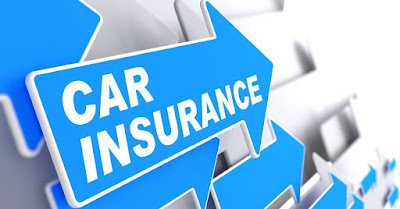 As we look to utilize car insurance on a month to month basis there are a few important considerations we should look at to find cheap short term car insurance. These are the way we choose to pay, the type of down payment, choosing the right coverage and shopping for the cheapest car insurance premium. It is common for car insurance companies in the United States to require policies are setup for a 6 month period. Most companies will allow their customers to set up monthly payments. The important thing to keep in mind is companies will end up passing their processing cost on to their customers. This means, anything that needs to be mailed, like statements or checks will incur processing fees. In addition, if a company needs to receive a payment by credit card, they will be charged by the credit card company and be inclined add on a monthly processing fee. These fees can add up to be $30-40 every 6 months and can be avoided. The simplest way to do this is by having monthly payments done directly from your bank account. It is also a good idea to receive all of your statement information electronically to avoid any additional fees. Another good area to keep in mind with finding cheap monthly car insurance is avoiding large down payments. Some companies will require at least 2 months payment when signing up for a new policy while others may only require the first month’s payment. The following web site has a complete overview on size of down payments the top car insurance companies will charge. Keeping your down payment to a minimum will help keep your monthly payments cheap. Car insurance is a risk management tool so it is important to review how many assets you have to protect. If you are holding a small amount of assets then it may make sense to keep lower coverage levels. The starting place should be the minimum coverage amounts required by the state you live in. From here, it is a good idea to look at deductibles for comprehensive and collision. Collision coverage will be the most expensive to carry. A good rule of thumb is for older cars you should consider carrying a higher deductible as the value of your car will be lower than a newer car. It is hard to avoid all of the car insurance advertisements we see everywhere. The benefit to this is there are numerous companies looking for our new business. The final step to finding cheap short term car insurance is by shopping around. It is hard to say one company will always provide the best pricing. To avoid the guess work, work an independent web site that works with many car insurance companies. By spending a few minutes filling out information you can receive several quotes back.